I'm so grateful for this little book. I thought so many times as I was reading it, I would LOVE to share this with so many of my friends. It is so concise and easy to read, I can pick it up anytime I feel like I need a mood tune-up…or a dose of truth! It is simply profound. And profoundly simple. 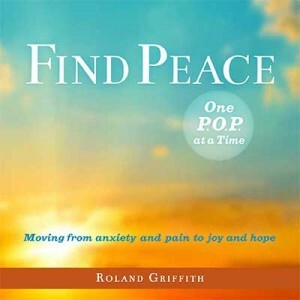 Griffith's personal journey through the painful experience of depression caused him to develop this sound, no-nonsense practice. When I work with it, a day filled with negativity or limitation can turn into an entirely different experience...in the moment. That's TRULY where we need to be. I will keep it on my coffee table or side table as a reminder to always know the power of POP's! :)! !